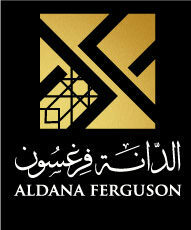 Al Dana & Ferguson Partners have together with partners and clients, been working in the markets together for several years already and have been able to complement each other in languages, culture, experience, networks and access as well as understanding local specifics. Choice of the right partners was the result of a long-standing selection process, based on experience and relationships. Opportunities for Middle Eastern and European families, investors and business owners to exchange, share and access. Becoming the “local eyes and ears”, i.e. trusted local partners, who can access networks from within. have a more pro-active stance in serving them with a more bespoke approach. Besides a thorough due diligence and KYC process for clients, this is also applied to any projects or investment opportunities offered. This is always supported in addition by our network of peers, referrals and endorsements.